My first Kindle cover. The Kindle is a wireless electronic book designed by Amazon. You can upload up to 200 book titles via the 3G network, the same network mobile phones use. This image was first published on the cover of "Obama. 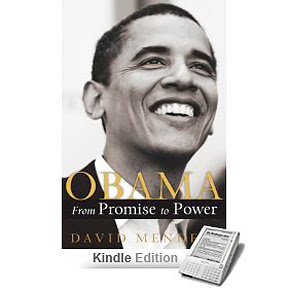 From Promise to Power" written by David Mendell earlier this year. Welcome to the paperless digital age.